Graham also notes current and upcoming exhibits at the Gantt Center. Charlotte Viewpoint talks with Joy Paige, Johnson C. Smith University's (JCSU) Vice President of Institutional Advancement about education, philanthropy and diversity. JCSU is the sponsor of their August interview series in honor of Black Philanthropy Month, in which Valaida Fullwood interviews a number of Charlotte African Americans engaged in multiple facets of philanthropy. 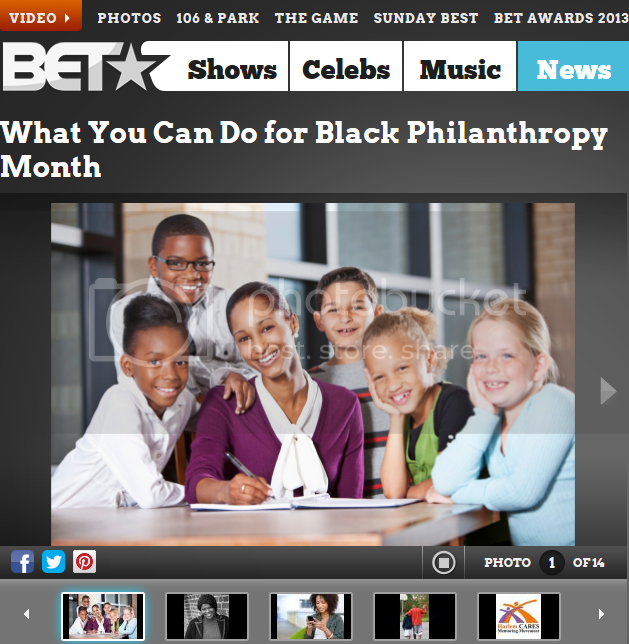 BET.com promotes BPM 2013 with the article, “What You Can Do for Black Philanthropy Month.” The slideshow article includes events from the BPM 2013 master calendar that can be found here. The Chronicle of Philanthropy publishes a special report, “Tomorrow’s Donors,” that spotlights the changing giving landscape as the country grows more diverse. The article “Blacks Build Ties Through Giving Circles” shares the story of the Next Generation of African American Philanthropists in Raleigh, NC. BPM organizer Valaida Fullwood pens an op-ed, “I Dream of A Day” for the N.C. Center for Nonprofits. Fullwood will provide the keynote address at their upcoming statewide conference for North Carolina’s nonprofits. 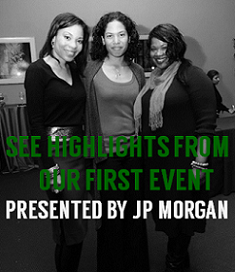 #BPM2013 Denver African- American Philanthropists is my favorite giving circle! 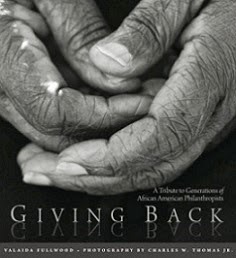 And kudos to us (BlackGivesBack.com), for being named to the Top 150 Nonprofit Blogs list by Top Nonprofits, and a mention during the Chronicle of Philanthropy’s live discussion on “Preparing for a Seismic Shift in Fundraising” as a go-to resource for engaging donors of color! Don’t forget our BPM DonorsChoose matching campaign! Donate to ANY classroom project of your choice and up to $50 will be matched during August!